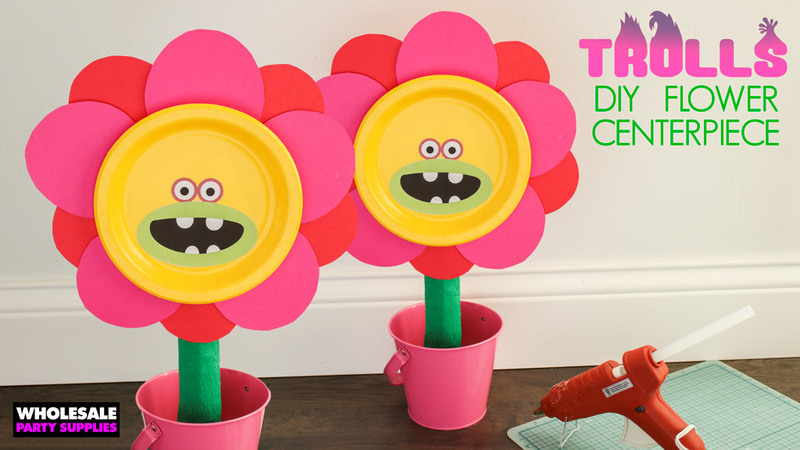 Make your Trolls party table pop with personality and add these DIY Trolls Flower Pots as the centerpieces! Create this budget friendly paper décor that comes together easily with the help of a basic party staple: a paper plate! 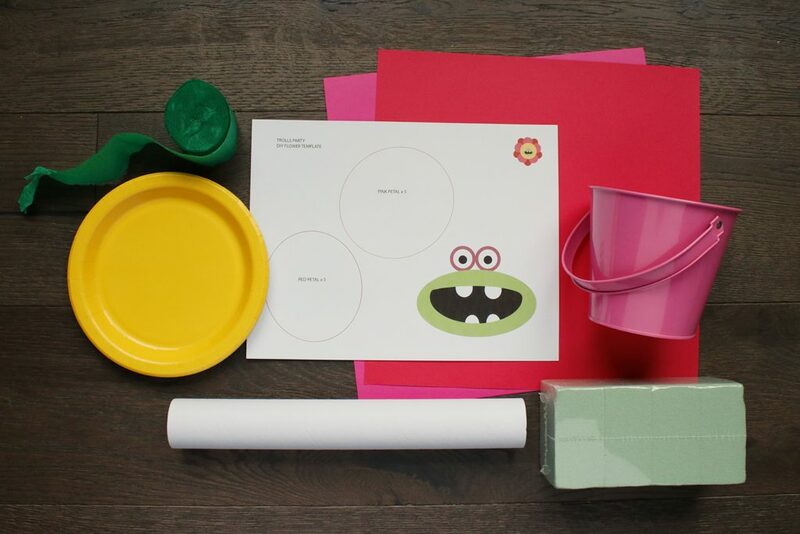 Turn plain yellow plates into toothy grins with help of our free printable templates and watch your guests light up with excitement with these recognizable movie features. Download, print and trim the face and petal templates. Trace the flower petal template on pink and red cardstock to create 8 petals. 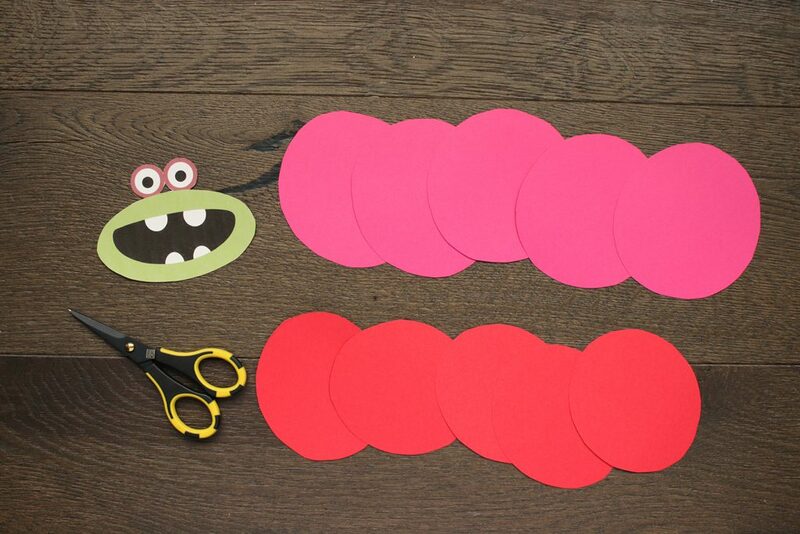 Trim to size and glue behind the yellow paper plate face. 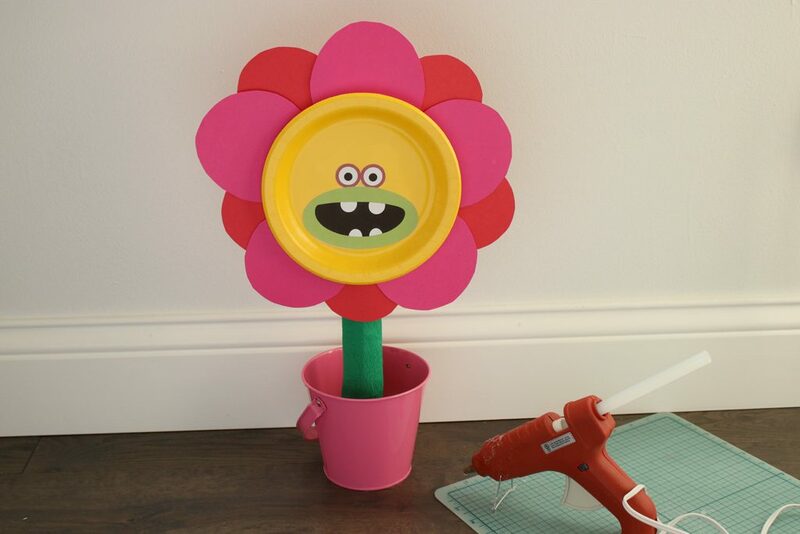 Use a glue stick to apply the face to a yellow paper plate as the center of the flower. Tape 5 red and 5 pink petals on the back. Wrap a cardboard tube with green crepe streamers. Cut floral foam to fit to the bucket and insert flower stem inside. 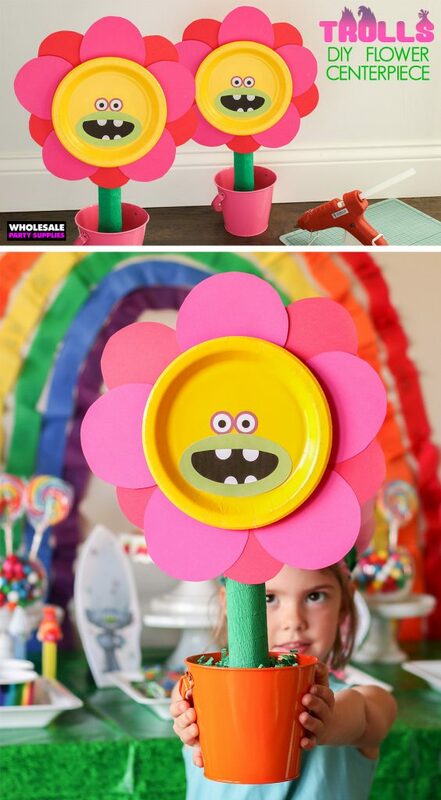 Use hot glue to add the flower to the top of the cardboard tube. 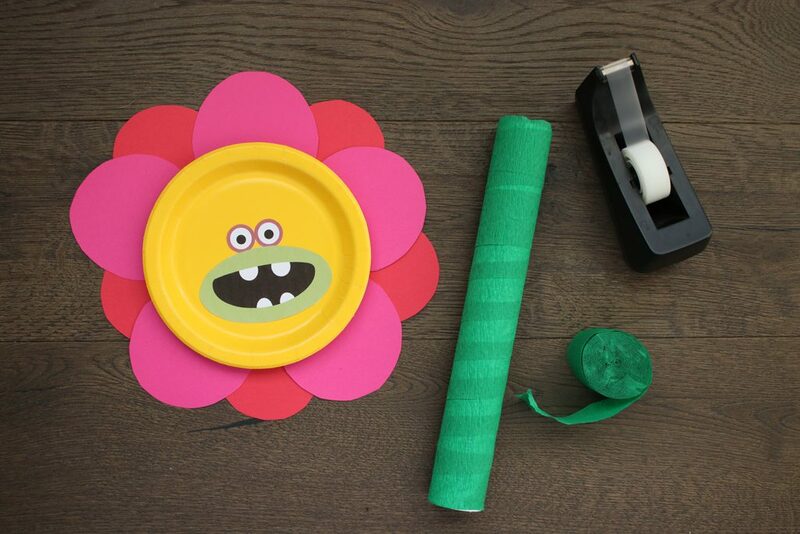 Cover the top of the floral foam with paper shred and place flower as the centerpiece of your Trolls party table or as a dessert table decoration. 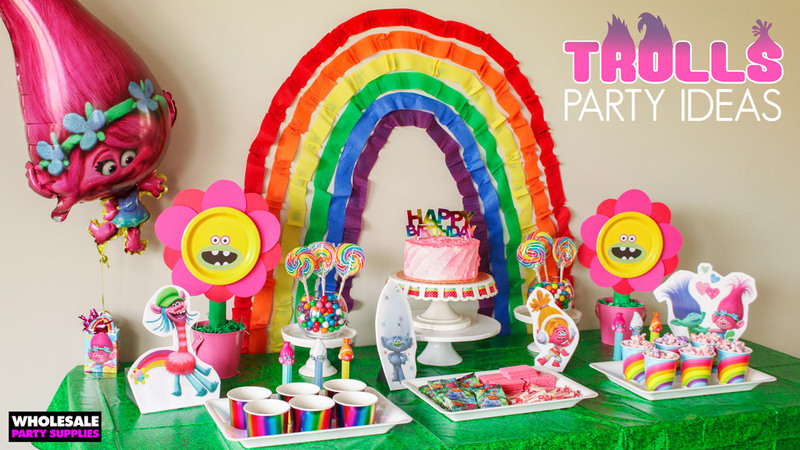 Place on the centerpiece of your eating table or ride the rainbow and place on both sides of the colorful dessert table backdrop of your Trolls party! 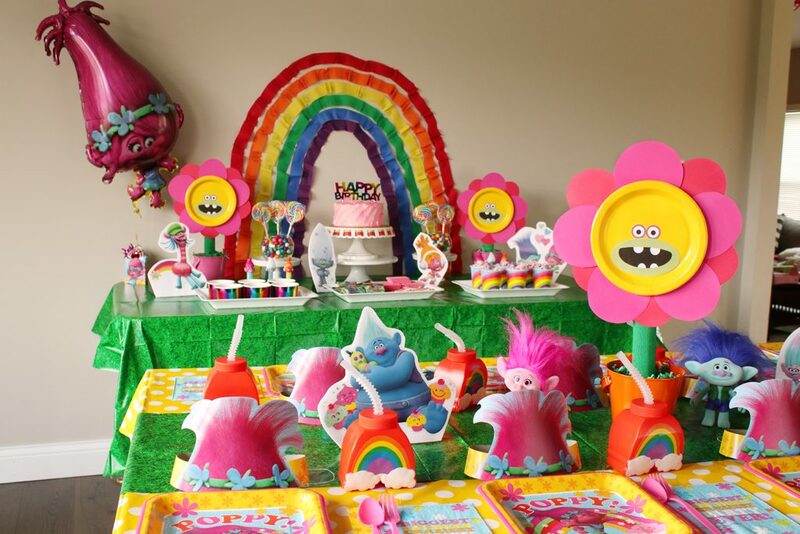 Feeling inspired to plan a Trolls Birthday party? Browse Wholesalepartysupplies.com to see our full line of the Trolls party supplies.